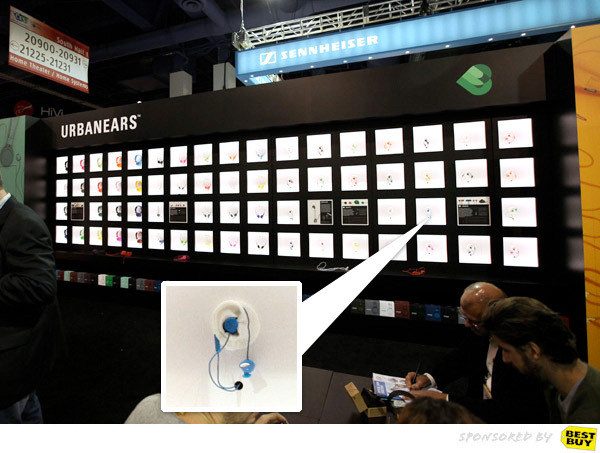 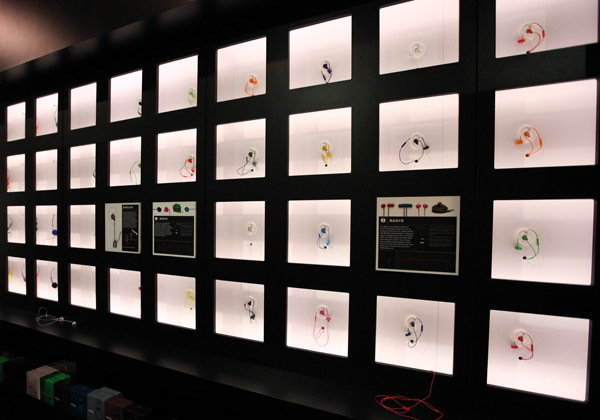 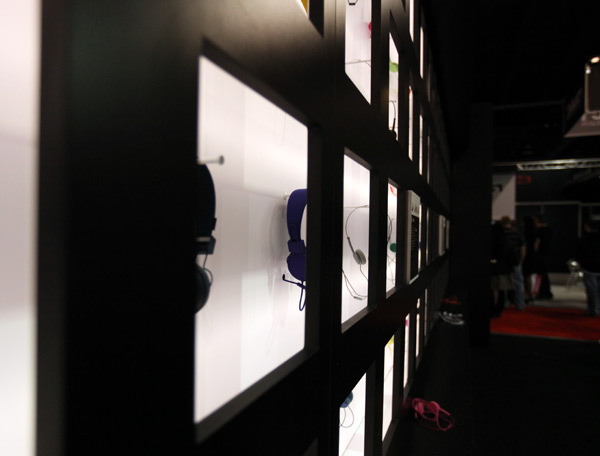 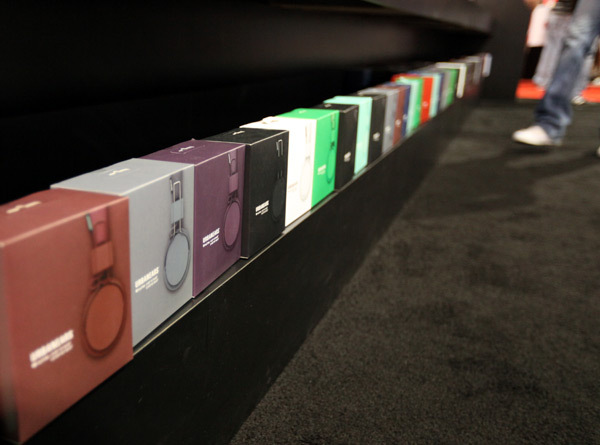 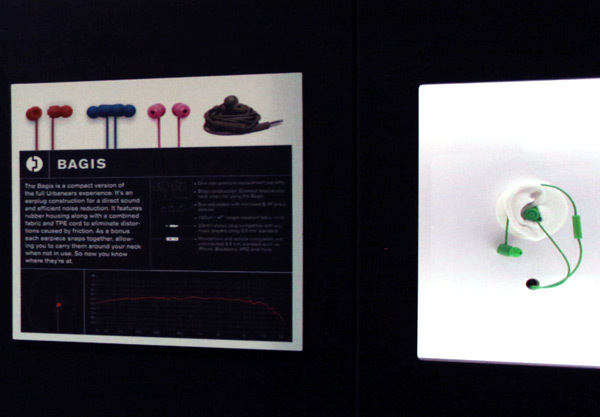 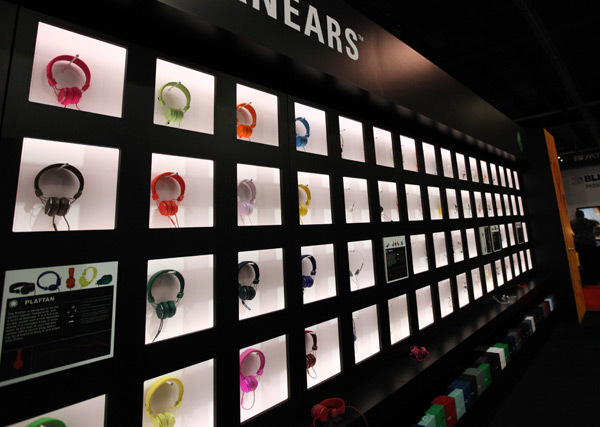 There’s something irresistible about a matte black wall covering glowing cubby holes… with ears in them… and gorgeously colorful headphones/earbuds… Such a visual and tactile wall of goodies at the Urbanears booth at CES! 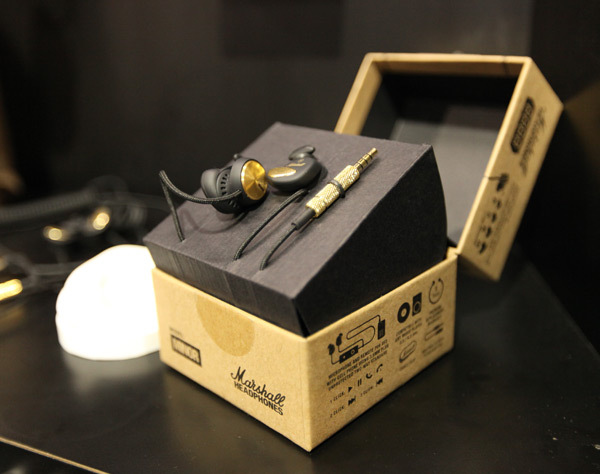 You can see their Tanto and Plattan over heads, their Medis that you twist to lock into your ear, and a peek at the new Bagis! 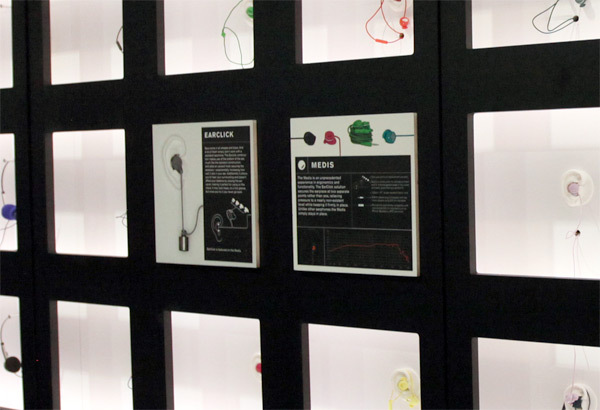 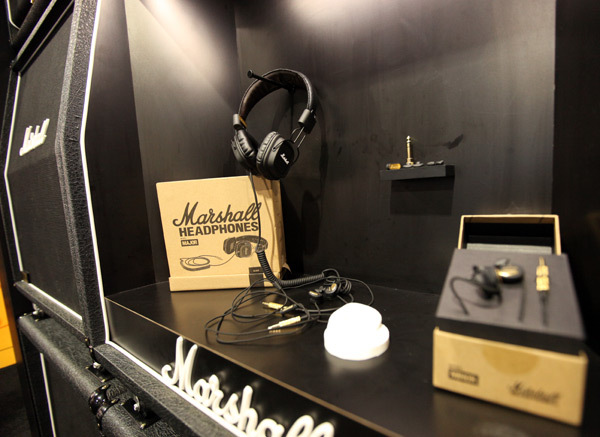 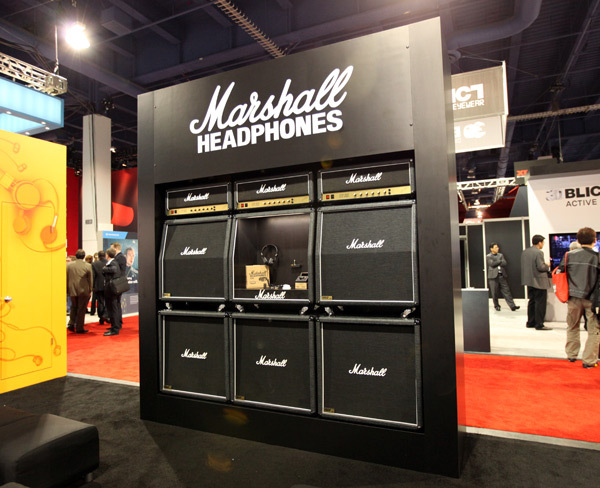 They are also behind the much circulated Marshall headphones and earbuds, and had a fun amp display as well… A close up look at the smart packaging and products here… but first, check out the booth on the next page! 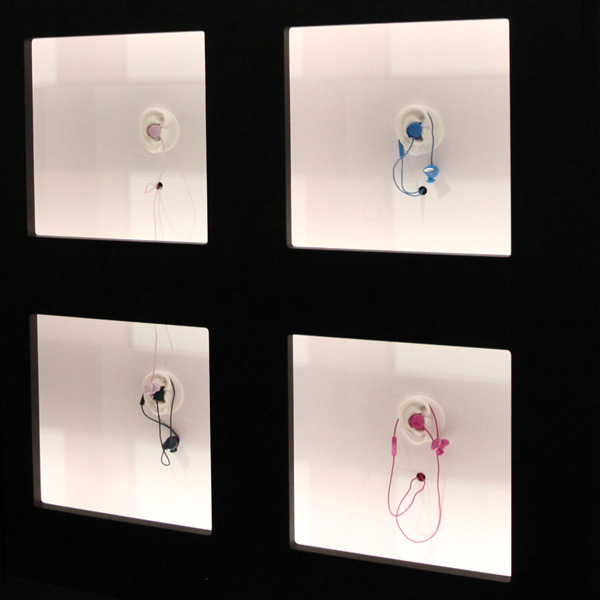 Here are the new Bagis!